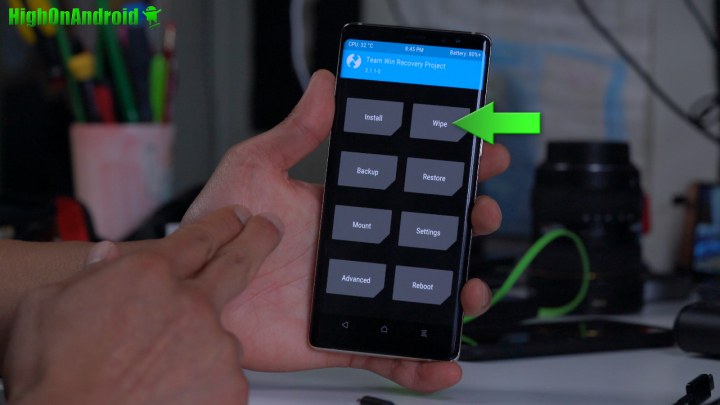 This tutorial will teach you how to install a custom ROM using TWRP for Any Android that has TWRP installed already. 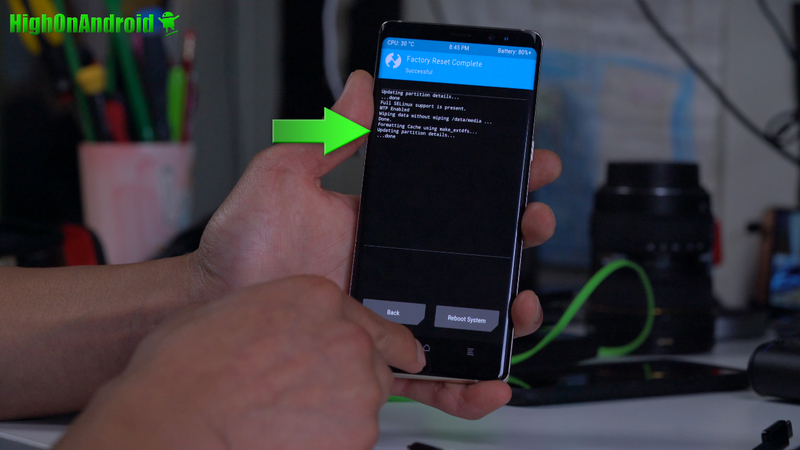 By using this tutorial, you will learn how to install custom ROM on ANY Android smartphone or tablet using TWRP recovery. Step 1. 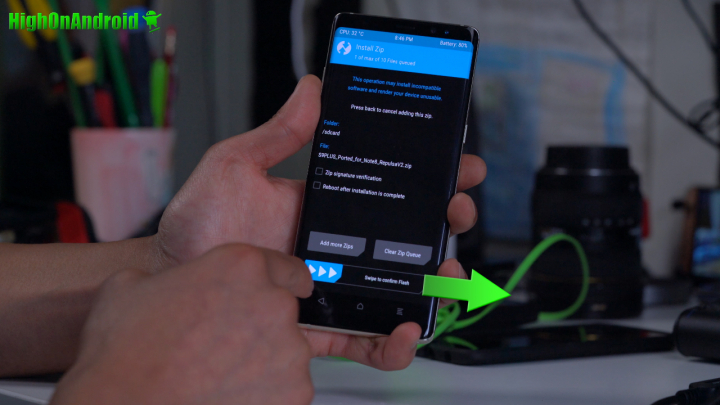 Before we begin, make sure your Android device has TWRP recovery installed and you are booted into TWRP. 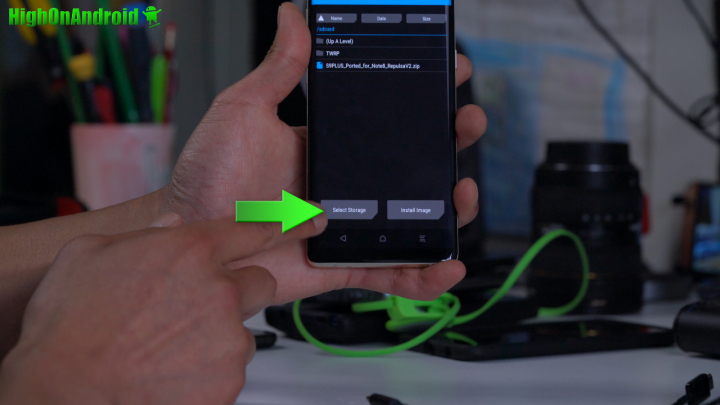 Make sure you have installed TWRP recovery and booted into TWRP as shown below. 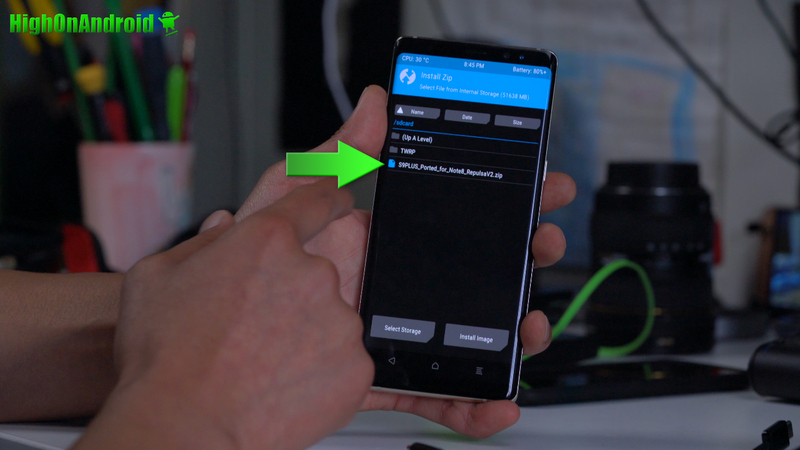 For Samsung Android devices, please see How to install TWRP & Root w/ Magisk and follow that tutorial Steps 1 thru 7 then AFTER THAT, follow this tutorial. 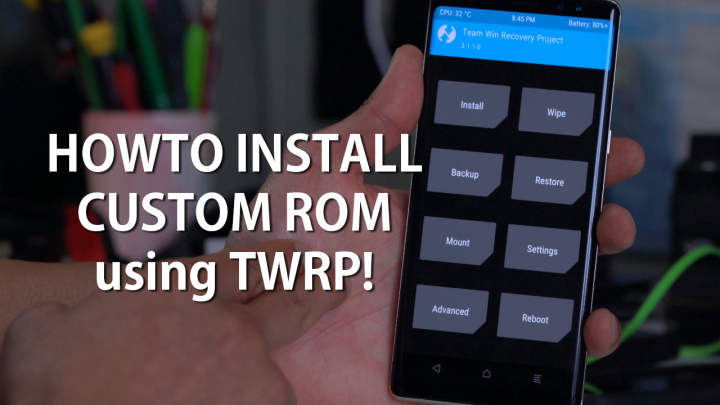 For other devices, you will first need to install TWRP recovery and boot into TWRP recovery. Step 2. Copy over your ROM files, they are in “.zip” format. 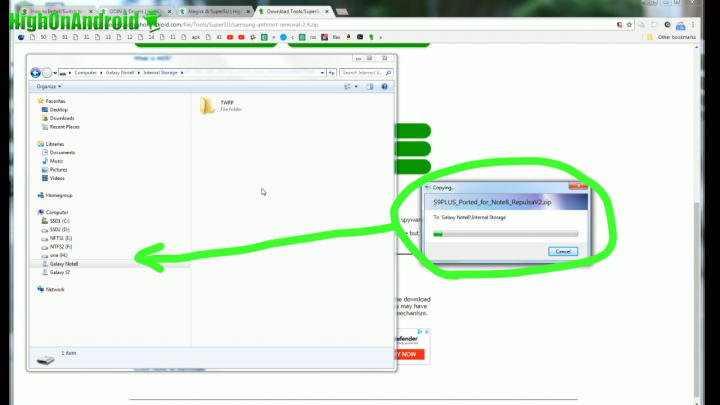 DO NOT unzip the ROM ZIP files and copy the whole ZIP file over. For some ROMs, there may be more than 1 file to flash so refer to the ROM installation instructions on how many files there are to use. For AOSP ROMs like LineageOS ROM, you will have two files, ROM file and Gapps. Now, if you want to going to flash a lot of custom ROMs(which I recommend before deciding on one to use), I do recommend using a USB OTG adapter/cable along with a USB flash drive. This will allow you to keep all your ROM files(they are big btw at least 2GB on newer phones or more) in the USB flash drive instead of taking up space in your internal storage of microSD card. 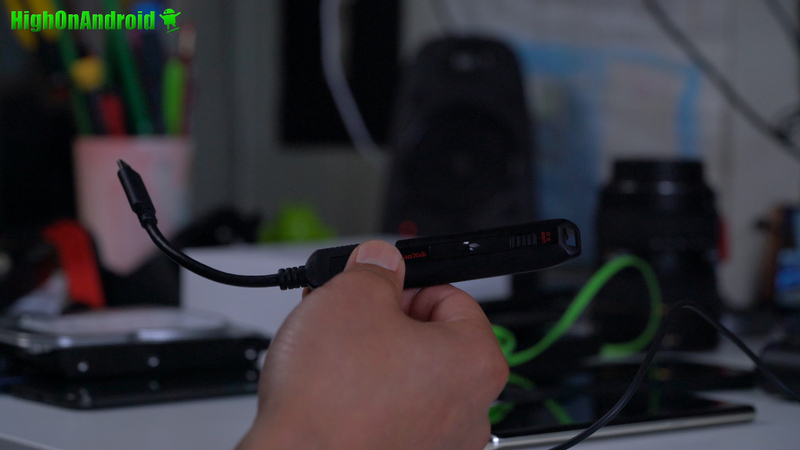 You can also use your microSD card. Step 3. You are going to do a regular factory reset, this will ERASE EVERYTHING on your internal storage like apps, app data but will not erase personal files like videos and photos. Then swipe to the right to do a Factory reset. 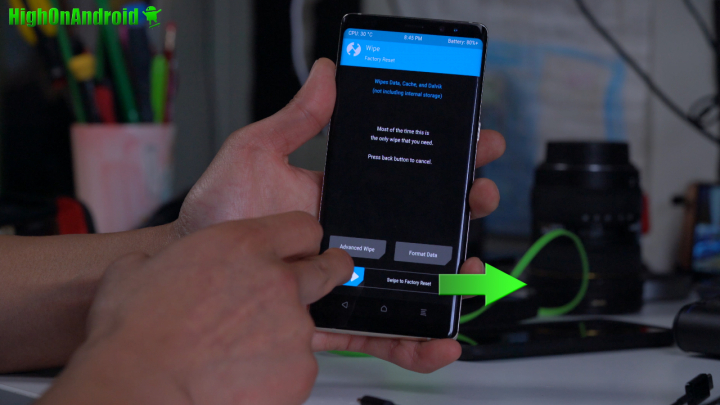 Unlock stock recovery(which also wipes data and erases everything on your phone), TWRP recovery factory reset ONLY erases your apps and app settings. Step 4. Next, we will install the custom ROM. Use the Install menu and find the ROM zip file and install. If using microSD card or USB OTG Flash drive, you can also change the storage by tapping on, “Select Storage”. Once ROM file has been chosen, swipe to the right to flash/install the custom ROM. If your custom ROM comes with AROMA, you will have to go through the options and follow the instructions on your Android’s screen. 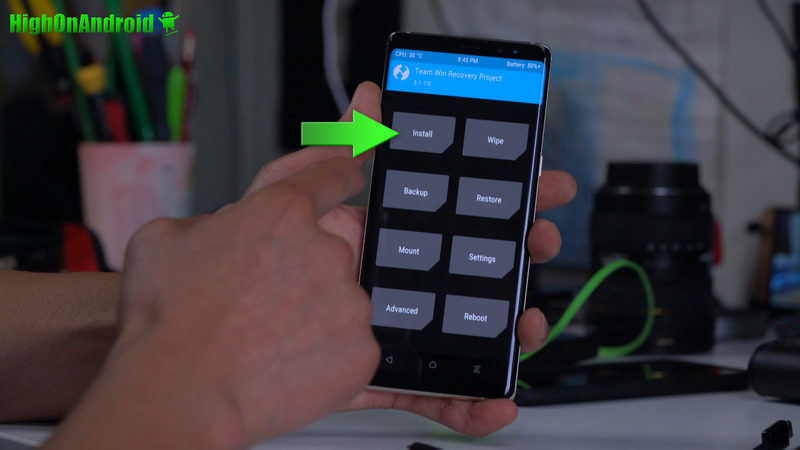 Once everything has been installed, you should be back in TWRP. 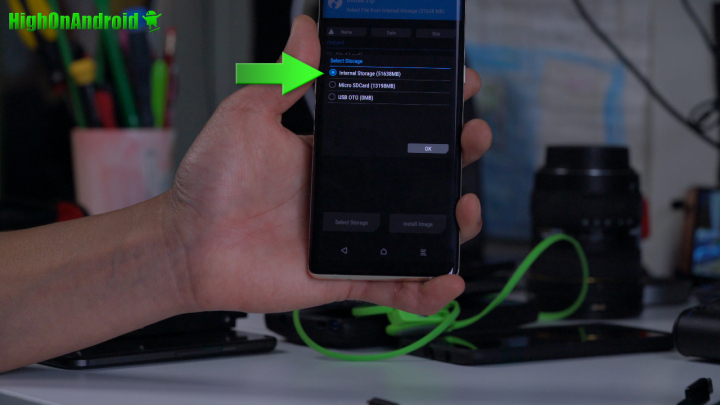 If you need to flash other files or Gapps after installing ROM, simply repeat this step to flash more files. 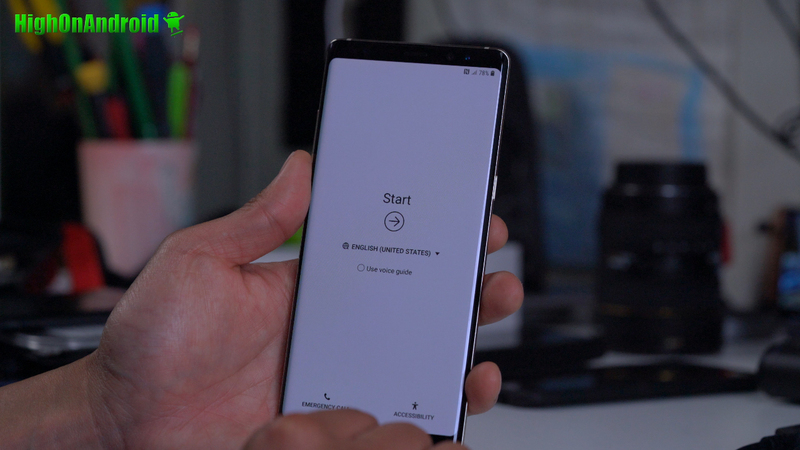 Some ROMs may require you to reboot first before flashing extra files, so make sure you take that into account before installing. But for most AOSP ROMs, you can flash ROM file then Gapps file then reboot. Step 5. Once you have flashed all the files you need, reboot and you should see a welcome screen after about 5-10 minutes. 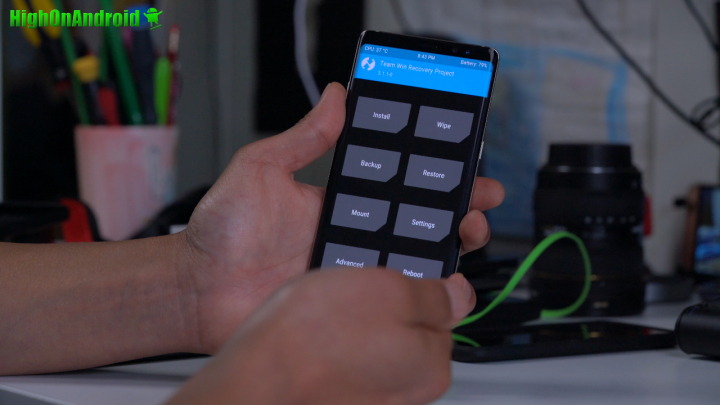 Sign in and your new custom ROM should be ready to go! Q: I ended up in a bootloop! A: First, try re-installing the custom ROM. If there are multiple files, try installing them one at a time(and reboot to TWRP after booting to install additional ones). If all else fails, your custom ROM may be not compatible. If that’s the case, try installing another custom ROM. Q: My 4G LTE is not working after installing a new ROM! A: Most likely your APN is not setting automatically which can sometimes happen, refer to How to fix 4G LTE Data by setting APN Manually tutorial. 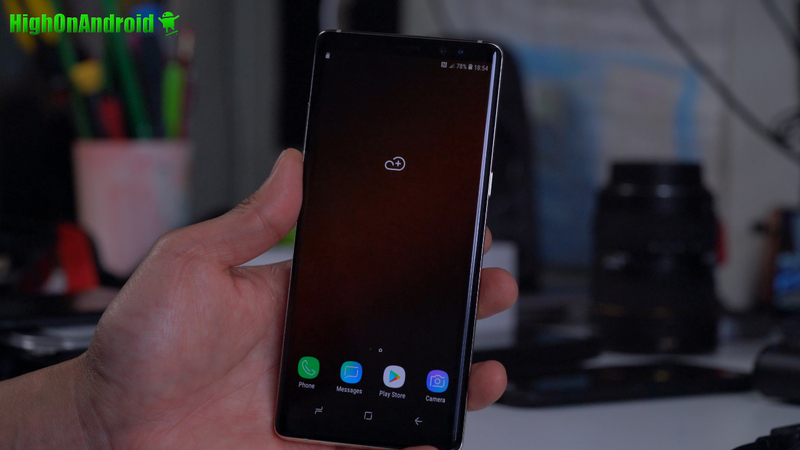 Next story Galaxy Note 8 SUPERCHARGED w/ S9 ROM Conversion!